Cooper Hewitt, Smithsonian Design Museum will present “The Senses: Design Beyond Vision” exhibition, on view April 13 through Oct. 28, which examines how multisensory design amplifies everyone’s ability to receive information, explore the world, satisfy essential needs and experience joy and wonder. “The Senses” features direct sensory experiences and displays practical, innovative and exploratory products to touch, hear, see and smell. The exhibition invites visitors to encounter design with all their senses through several interactive installations, created in collaboration with contemporary designers, from a furry wall with digital sensors that play music to a scent commission by Christopher Brosius inspired by winter. Organized by Ellen Lupton, senior curator of contemporary design, and Andrea Lipps, assistant curator of contemporary design, the exhibition includes work by more than 65 designers and teams and reveals how sensory design can solve problems and enhance life for all people, including those with sensory disabilities. Contemporary designers are experimenting with materials, exploring technology and embracing the differing needs and experiences of users, in order to heighten sensory awareness and improve daily life. Designed to spark curiosity and wonder in every visitor, “The Senses” amplifies the intimate links between design and sensory experience. 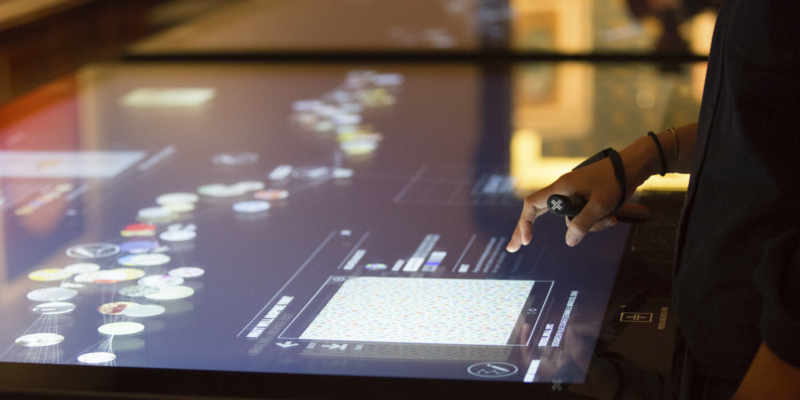 The projects on view activate touch, sound, smell, taste, sight and physical experience. A digital animation translates bird songs into bursts of color and motion. A light installation changes from cool to warm in response to visitors’ movements. Unusual vessels reveal the sonic and tactile properties of materials. Unique scents merge with materials, textures and words to build new memories and associations. For “The Senses,” Cooper Hewitt has developed an accessible exhibition experience that welcomes visitors of all abilities. Exhibition labels will feature key elements in braille, and a custom smartphone app will connect visitors to full-length content via text or audio. Additional accessibility features include T-coil–enabled audio devices and audio descriptions explaining the visual content of videos. The museum now offers two descriptive exhibition tours a week, in which trained museum educators describe the works on view. With “The Senses: Design Beyond Vision,” Cooper Hewitt is testing new ways to share knowledge with diverse audiences; the museum will continue to include these accessibility features in future exhibitions and programs. The exhibition opens with two interactive installations. 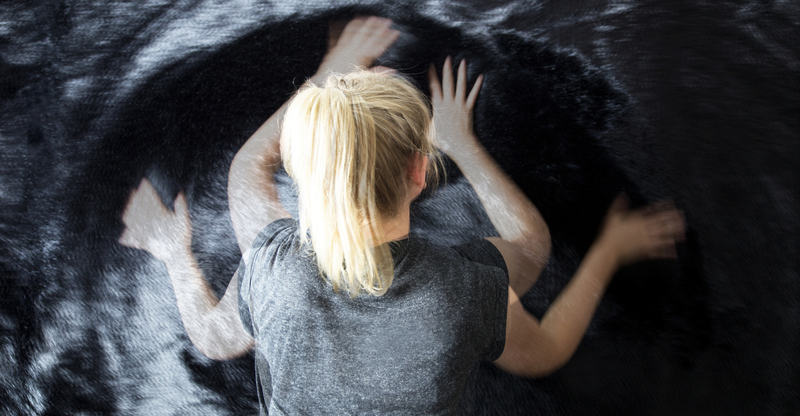 Tactile Orchestra, created by Studio Roos Meerman and KunstLAB Arnhem, consists of a wall covered in synthetic fur. Cities and neighborhoods are filled with sound. In this section, an overhead speaker will play a piece by Shared_Studios featuring sounds collected from cities and locations around the world. A special commission by Man Made Music, called Alarm Fatigue, is a 3-D acoustic experience exploring the design of improved sonic environments for hospitals. Sighted and non-sighted designers are creating new ways to communicate via touch, using textured ink, 3-D printing and touchable alphabets. By translating sound into images and vibrations, designers invite users to perceive sound beyond hearing. The Vibeat wearable device allows users to feel music as vibration against their skin. The tangible qualities of materials include shape, texture, hardness and weight. The works on view in this section include the Active Textile, created for the exhibition by the Self-Assembly Lab at MIT with Designtex and Steelcase, which features small perforations that open and close in response to changes in light or temperature; and photographic prints of letterforms bathed in frog eggs or crafted from human hair, created by graphic artist Monique Goossens. Color, shape and texture can amplify taste and smell. On view will be FlavorFactory, a new installation by food artist and designer Emilie Baltz, which uses interactive video to play with our perceptions of sweetness and disgust. The dining table is rooted in rituals and embellished by tableware. Featured in this section are Jinhyun Jeon’s Sensory Spoons, which are edged with bumps or rippled like waves to catch and pool food and stimulate the mouth; Lina Saleh’s Living Plates, made of silicone that bends and conforms to the weight of food; and designer Bilge Nur Saltik’s Share. Color can help people navigate places and products. A colorful button, handle or grab bar stands out from its surroundings, as shown in the Dementia Care Bathroom Fixtures by HEWI. Vividly colored dishes can stimulate the appetite, while tools designed for tactile feedback make everyday tasks easier. Inclusive design acknowledges sensory differences by offering people multiple ways to communicate and navigate. Designers and animators use color, line, shape, motion and texture to visualize sound and touch. In this section, eight animations and short films will explore interactions between visual form and diverse sensory realms, including “Visual Sounds of the Amazon” by Andy Thomas, who used particle effects animation software to visualize the sounds of birds and insects; and “The Wikisinger,” a film directed by Vincent Rouffiac, exploring the effects of architecture on a song performed by Joachim Müllner in different locations. Audio descriptions, voiced by Michele Spitz, make these videos accessible to people with vision loss. “The Senses” is designed by Studio Joseph. Exhibition graphics by David Genco. In spring 2018, a series of public programs will inspire conversation about multisensory design. Planned events include an Experience Café, Thursday, April 18, 6:30 p.m., a multisensory event featuring tastings, demonstrations and conversations with designers from “The Senses,” and a Central Park Smellwalk with designer Kate McLean, Saturday, May 26, 1:30 p.m.